The Upstate New York town is much more than just baseball's mecca. My road to baseball super-fandom was paved by an out-of-control baseball card habit and an incredibly mediocre (but shockingly satisfying) career on the Little League fields of the East Side Rec. Sometime in the early 1990s, I was finally ready for the big leagues. My dad packed my older brother and me into the family car and drove us the hour and 45 minutes from Saratoga Springs to Cooperstown, where the National Baseball Hall of Fame and Museum is located. It was there that the second era of my baseball education began: that of sheer reverence. First opening its doors in 1939—with an inaugural class that included icons of the game such as Babe Ruth, Honus Wagner and Ty Cobb—the Hall, like the name of the town itself, has become synonymous with the best-of-the-best of baseball, and annually plays host to an induction ceremony, during which giant throngs of fans and their baseball heroes descend on the tiny Upstate New York town for a weekend of festivities, culminating in the enshrinement of the chosen few in the hallowed institution. (This includes the inductees giving a speech to their adoring fans and getting a bronze plaque, emblazoned with their likeness, mounted in a gallery within the Hall’s walls.) This year’s class is one of the most crowded to date—and offers fans from a wide swath of the country—and even Canada—the opportunity to honor some of their favorite players. This July 27-30, baseball devotees will watch as players Jack Morris, Alan Trammell, Vladimir Guerrero, Trevor Hoffman, Chipper Jones and Jim Thome punch their HOF tickets. 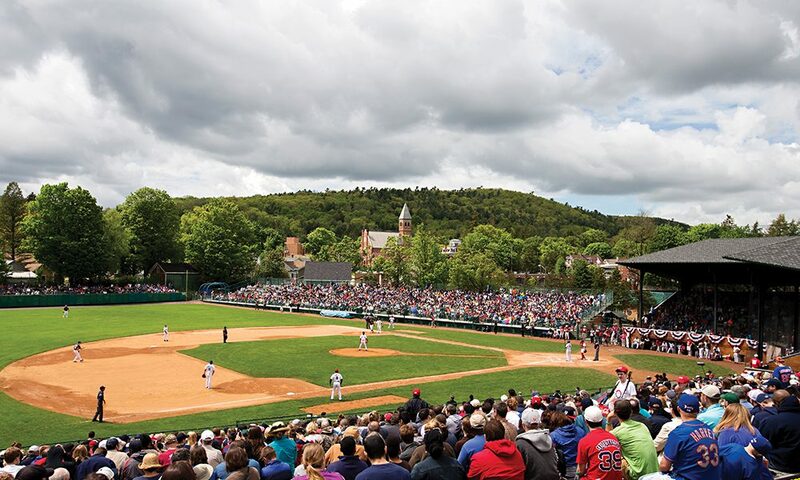 But if you just never got into “America’s Pastime” (it’s really OK), Cooperstown actually has a number of other, equally compelling attractions to offer summer road-trippers. For culture junkies, look no further than the Glimmerglass Festival, featuring one of New York’s premier opera companies, which kicks off on July 7 and runs through late August. This year’s lineup will feature everything from a classic Broadway show (West Side Story) and opera (The Barber Of Seville) to a one-night event starring enigmatic actor Bill Murray. Glimmerglass’ venue, the Alice Busch Opera Theater, is located right on the shores of the picturesque Otsego Lake. Make your plans now, because the festival is extremely popular, and there’s a constant sellout risk. If you tend more toward the ripped-jeans crowd than the pleated khakis one, I’d suggest heading over to Brewery Ommegang, which not only brews its very own lineup of beers, but also has a summer concert schedule jam-packed with many of the nation’s top music acts. (It’s actually pretty late in the season, but there are still shows to catch.) The “venue” is basically a giant, open plot of farmland, so depending on the weather, it might be best to wear old shoes or hiking boots. Next month’s fare includes modern-era troubadour Ray LaMontagne (I first saw him when he was an opening act in New York City, and even back then, his smoky pipes blew me away) and critically acclaimed Americana band Old Crow Medicine Show (their version of “Wagon Wheel,” which was cowritten by Bob Dylan, got retooled by country star Darius Rucker and turned into a No.1 single). The brewery’s visitors’ center, which includes its café and store—and which books its tours and tastings—just reopened after a $2 million renovation. Upgrades include new indoor seating and a 4000-square-foot covered patio. Given that Cooperstown gets its name from author James Fenimore Cooper, who famously penned The Last Of The Mohicans, it makes sense that there’d be at least one museum dedicated to his good name. The New York State Historical Association first began building the Fenimore Art Museum’s collection in 1899, and local aristocrat Stephen Carlton Clark—a major art collector and also the guy who founded the Baseball Hall of Fame—provided it with a home in Cooperstown (it was built on the site of Cooper’s former farmhouse). These days, the Fenimore Art Museum houses extensive collections of Native American and folk art, and American fine art and photography. It’s a must-see. Just a three-minute car ride away from the Fenimore Art Museum is the wonderful Farmers’ Museum, built on a working farm once owned by—you guessed it—James Fenimore Cooper. It didn’t become a museum until 1944, but by that point, it had pieced together a collection of 5000 farming tools and implements, and that number has since ballooned to more than 20,000. 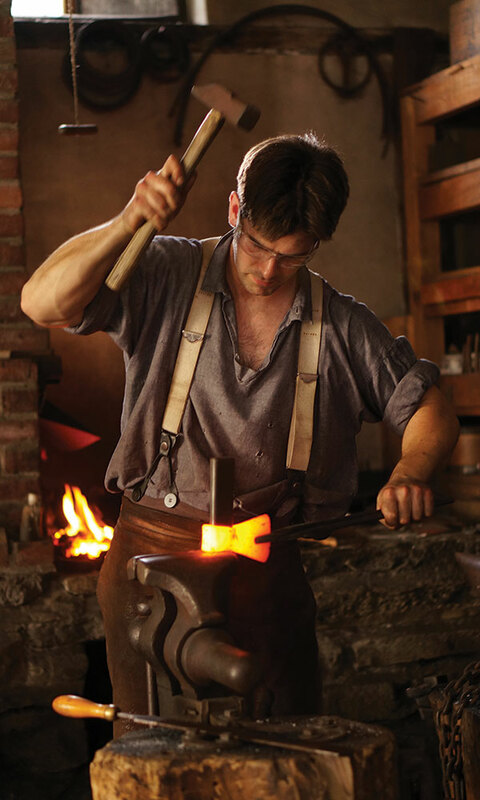 Besides being a fascinating museum with expertly crafted exhibitions, The Farmers’ Museum also hosts seasonal events, workshops and lectures. In early July, it will host the 71st Annual Junior Livestock Show. Moo! Since some of you may be staying in Cooperstown the entire weekend—and even tacking on a Monday for good measure—accommodations are everything. 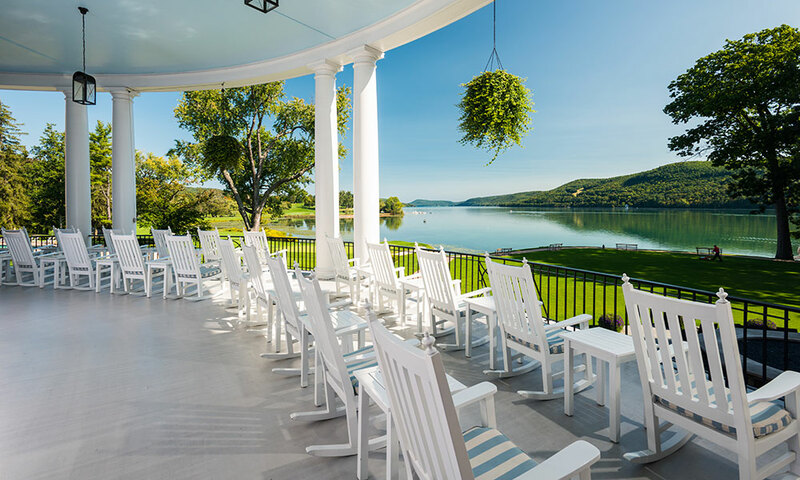 For the golfing fanatic, look no further than the award-winning Otesaga Resort Hotel, which has a top-rated course and that requisite spa for when your legs finally give out from all the museum-going (did we mention it’s located on Otsego Lake too?). The Landmark Inn, The Cooper Inn and The Inn At Cooperstown are also worthy alternatives—call them, the “inn” crowd—each with its own unique helping of small-town charm. One of the delectable entree options at Mel’s at 22. And while it wouldn’t be wrong to suggest a steady diet of yellow-mustarded hot dogs, peanuts and Cracker Jack while you’re in town, there are a number of dining options in Cooperstown that don’t have a baseball theme and still hit a home run. 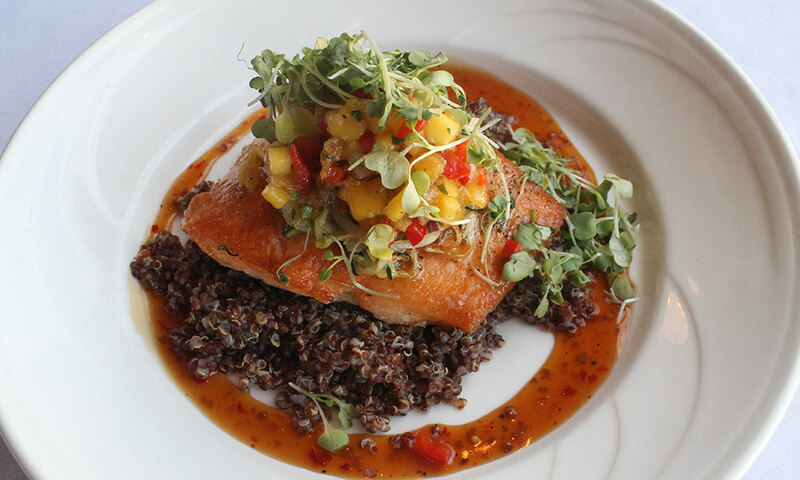 Since Otsego Lake is so darned picturesque in the summer months—and you’ll likely need a good, healthy breeze to fan away temps of 80 and 90 degrees—the Lake Front Restaurant & Bar has delicious pub fare kicked up a few notches by sensational lake views. For those looking for a little bit finer fare, try Mel’s at 22, with its array of upper-crust bistro picks (steaks, chops and the like); Alex’s Bistro, with its wide array of delicious dishes; or Bocca Osteria, known for its crispy, thin-crust pizza. So if you find yourself with an open weekend this summer, gas up your steed or hog and jet southwest. You’ll be batting a thousand in no time. And if you happen upon a guy in a weatherworn Boston Red Sox hat, it’s entirely possible it’ll be me. Say hello.